Gelatin is all the rage these days with mugs of bone broth being served up alongside everyone’s morning coffee. Personally, I couldn’t be happier to see this wondrous drink featuring in people’s daily diet as gelatin is an unsung hero in my eyes. Gelatin is nearly void in our current diet of muscle meats (think: chicken thighs, lamb shanks) as it is found in the joints and connective tissues in animals. Lucky for us, we can get gelatin through bone broth or from a processed source. Why would you want gelatin in your diet? Let me tell you all about it! Gelatin is great for hair, skin and nails. It is also fabulous for maintaining a healthy gut lining. The health of your intestinal tract determines your body’s ability to absorb nutrients so taking care of this organ is vital. Pure gelatin is a great source of highly absorbable protein. Now, turn your thoughts to your newborn who has a developing intestinal tract and needs help to build a strong and functional organ. They need the building blocks of protein and Gelatin will nurture this development. 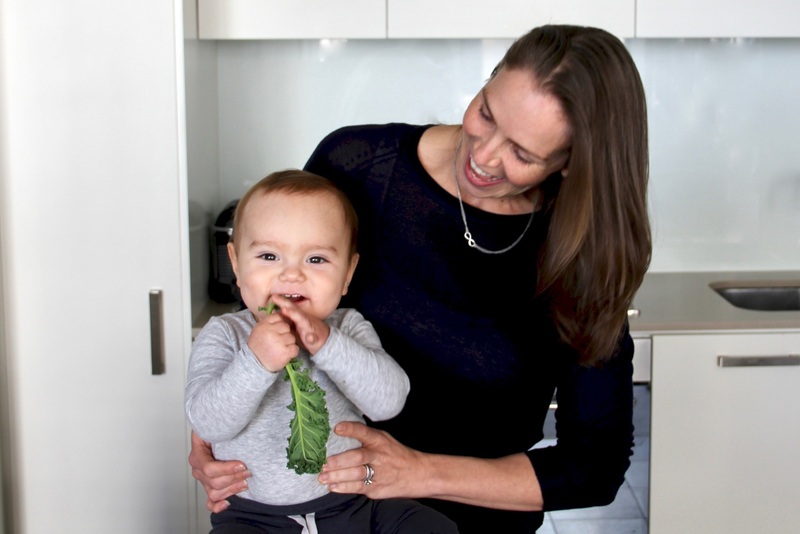 We introduce bone broth in week 2 of our Infant Nutrition Program to ensure this nutrient becomes a staple in your baby’s diet. We get a bit more creative in week 15 of the program when we teach you how to make jello jigglers. 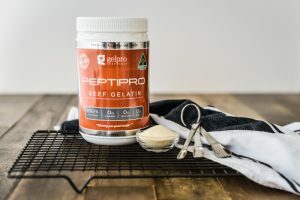 This recipe uses a clean source of gelatin and we recommend the Gelpro Australia brand which you can purchase online at https://www.gelatinaustralia.com.au/collections/all/products/peptipro-australian-beef-gelatin-500grams-premium-grade. Do not think the grocery store gelatin is the same! That is full of nasty chemicals and excess processing. If you are in the US, we’d recommend Great Lakes brand which you can source from Amazon. These fun finger foods help to teach your infant the all important skill of chewing while providing an excellent source of nutrition. Once introduced, they will be a requested snack in your household. 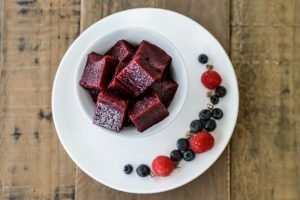 You can offer these bites as often as you’d like knowing that you are not filling your baby with sugar (even though they look like a sweet treat!) but with a protein packed, intestinal developing and gut healing snack!